Uniontown Auto Spring stocked parts make this shop an oasis for trucks. Uniontown Auto Spring respects its customers. You need to get on the road. Fast. How does Uniontown Auto Spring get you back in the driver’s seat? With parts in stock. Hendrickson parts are here. Hendrickson brags about its respect of its customers through its quality driving solutions. Where do you find this quality product? At this quality fix-it-all shop, Uniontown Auto Spring. Neway? We thought you’d never get to that one! Affirmative. Uniontown Auto Spring carries Neway. Reyco Granning, a 60-year-plus seasoned suspension expert? Yep, it’s a part of Uniontown Auto Spring stocked parts. Just want a list of them? I could tell! Here you go, my fact-hungry friend! Leaf springs have sprung here! 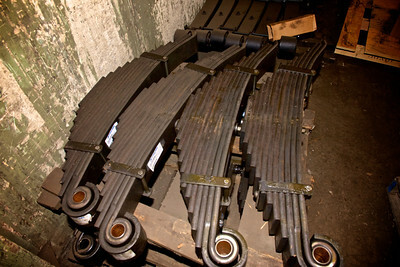 You’d think it’s a greener season with all the leaf springs amidst Uniontown Auto Spring stocked parts. 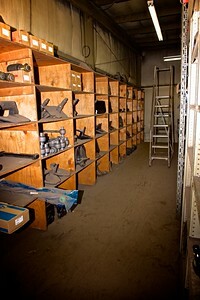 The shocks in Uniontown Auto Spring stocked parts? Shocking! Shocks in stock are as numerous as shocks from little kids rubbing their socks against the carpet and poking their unfortunate siblings. These shocks stretch down aisles and aisles. Should your truck need a part, take it to the place bursting with truck T.L.C., Uniontown Auto Spring! If Uniontown Auto Spring doesn’t have the part, they get it in as fast as possible. Uniontown Auto Spring handled a huge crane job. The parts they needed could only be found in Canada. How’d UASCO answer that obstacle? They sprung for next-day air. Imagine what this garage can do for you if it mends cranes with such care. 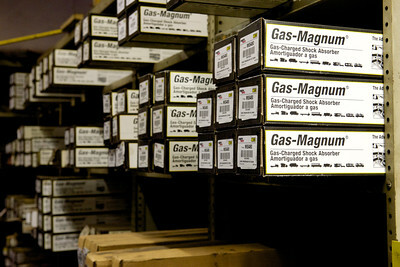 Uniontown Auto Spring stocked parts exist to give rigs the fastest fix possible. Uniontown Auto Spring cares for customers like family, because UASCO family owned. UASCO continues this quality by employing only the finest mechanics. Uniontown Auto Spring will give you a good job and a fair price in a timely manner in your time of need. Automotive, Heavy Duty Truck Repair, Light and Heavy Duty Suspension, Uniontown, Uniontown Auto Spring, Uniontown Auto Spring stocked parts, Unit4media, West Virginia. Bookmark.